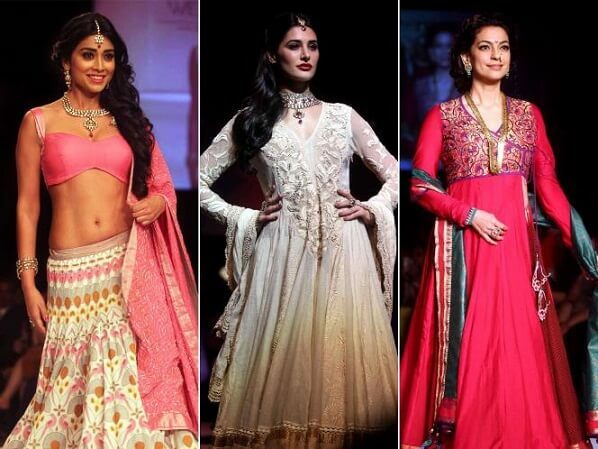 The entire focus was on handlooms of Indian origin at the latest lakme fashion week. It’s being held in Mumbai and will be showcasing some of the industry’s most attractive and colorful festival collection over six days. The textile day celebration was kicked off by Santosh Gangwar, the current minister for textiles in India. The traditional Tanjore print over quality silk got a boost through addition of foliage printings. 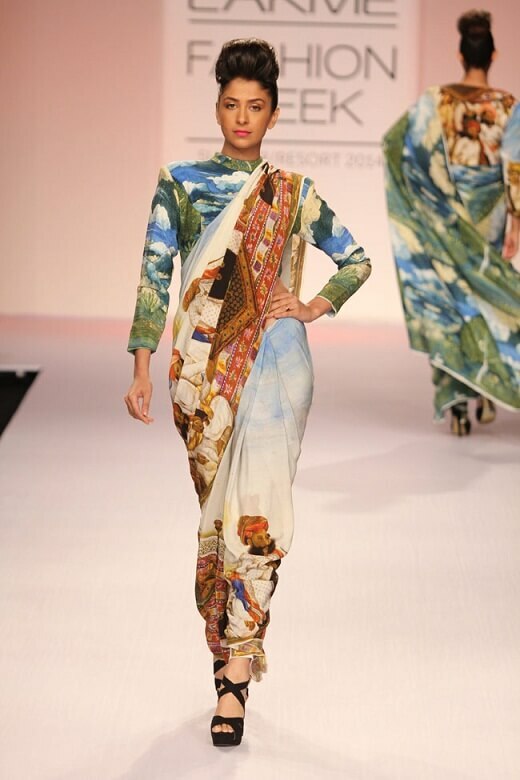 Shriya Saran ramp walked with a magnificent flower printed sari along with blouse of designer scoop neck. She was spotted commenting on the dying condition of handloom industry in India. Pinnacle grabbed a few eyes as Shruti Sancheti experimented with loads of colors. The main focus although remained over silk and common chanderi, along with hints of madras flavor. The kurtas and designer jackets were popped in addition to mandarin style collars. The skirts extended to ankle length, similar to the trousers or popular lehengas. Krishna Mehta known for mixing it up didn’t disappoint either with handlooms solely focused on Benarasi and Manipuri origin. Handlooms from Bhagalpur and Maheshwar also took centre stage. Several models were spotted wearing angarkha gowns, maxi dress, tunics etc. Much importance was given to saris which went pretty nice with blouses of core kedia style. Colors like indigo, white, light orange and pink flew around in abundance. 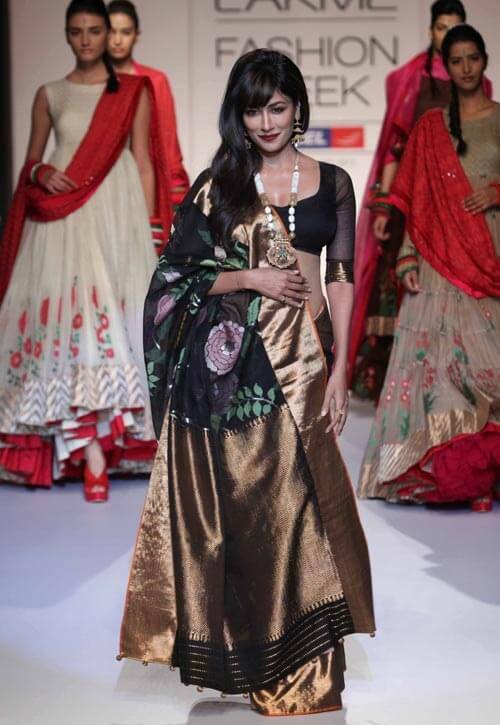 Dyes too had certain impact on lehengas with embroideries of gold. This season isn’t disappointing to males either. Shirts went well with Sherwanis and a final touch of Jodhpur jacket did the trick. This was intensified with fascinatingly well woven wide pyjamas. Sanjay Garg was among the thick of things. Fusion clothing of complimentary colors had a nice touch. These garments are perfect for upcoming festive season. It had almost everything like sherwanis, straightened pants, lehengas, skirts etc. The brocade style has been used on such designs. But a splendid golden sari along with proper sleeve of turquoise stole the limelight. It was simple and breathtaking at the same time. Celebs too tried out some smooth catwalk. 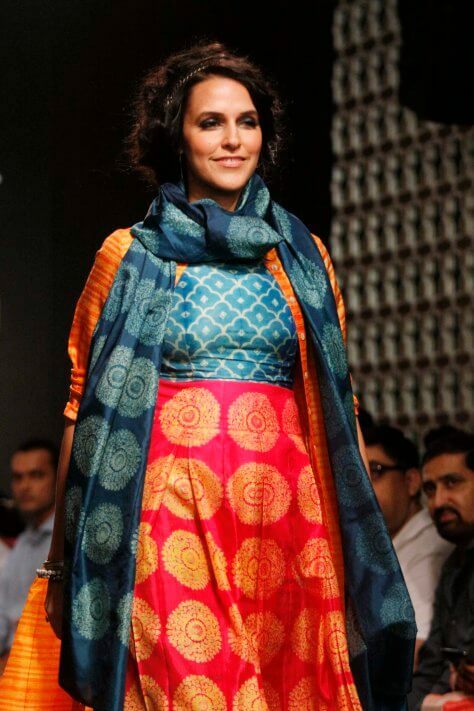 Neha Dhupia ramp walked in silk kurta and pink pink printed skirt which had certain geometric texture. Her overcoat was orange colored. She also displayed a scarf and peep-toe gorgeous heels. Her look was clearly for upcoming winters and drew quite the applause from the audience. 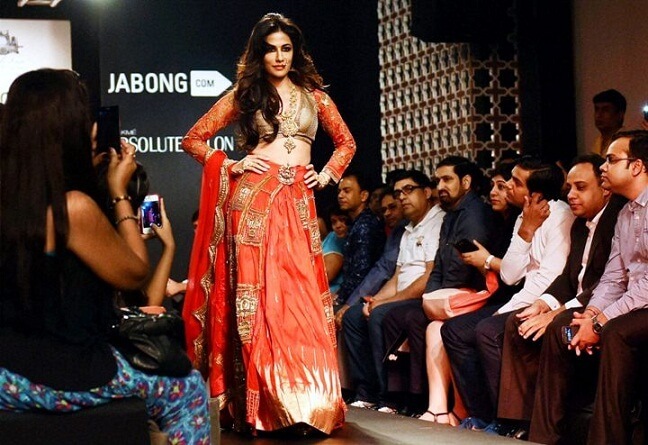 Chitrangada Singh showcased a beautiful ghagra with a choli. The gold texture was crafted fine and had an antique look about it. This design was inspired from South Indian temples, especially Cholan art. Harshita Chatterjee Deshpande surely knows her history well. The famous kanjeevaram silk in combination with Tussar and Chanderi based silk didn’t fail to impress either. Her waist was clasped with a metallic iconography too. 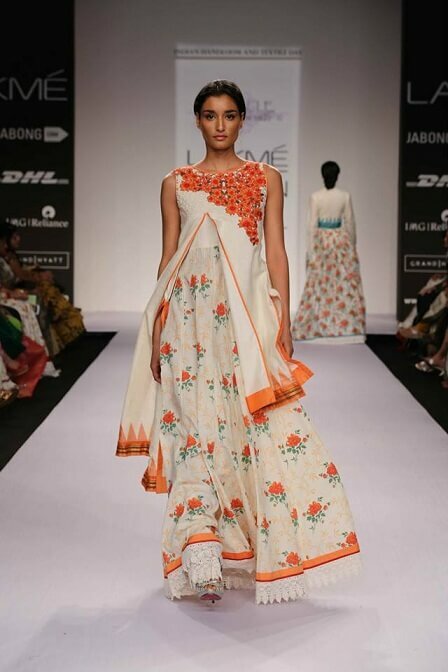 Sidharth Sinha focused upon traditional silks with embroideries. Prama exhibited some brilliant vintage garments that included shirts from Chanderi, trousers and stylish jumpsuits. Several innovative designs grabbed serious attention on the first two days. Designers like Shubhika Davda, Ragini Ahuja, Rixi Bhatia combined conventional dresses with winter accessories. Overall this season surely promises a lot and undoubtedly impressive. Check online for more related information.